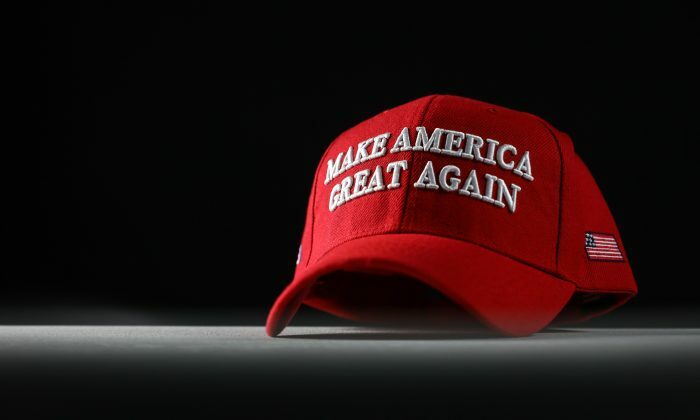 A high school freshman in Epping, New Hampshire, decided to don herself with “Make America Great Again” gear, a red cap and T-shirt, during her school’s “America Day” on April 8, only to be quickly asked to conceal what she wore. On the day of the event, Ciretta Mackenzie was asked by her school’s principal to “cover up” her shirt. The principal told her that it violated the school’s dress code. The student complied with the principal’s order and borrowed a friends sweatshirt. The “American Pride Day” event was part of the school’s spirit month, Mackenzie said she had no idea her gear would cause any issues. Mackenzie later told Boston25 News that she doesn’t believe her outfit violated any dress code policies and believes her rights were violated. “It’s just a shirt, and it only says Trump make America great again, it doesn’t say anything like build a wall, so I don’t get how it could be offensive, how it could be disrespectful,” she told Boston25 News. Cirreta said that after looking through the school’s policies on clothing, there was actually no policy or code that barred political clothing. She told the outlet she feels her First Amendment rights were violated. Her father backed up Mackenzie’s choice. He said he believes political topics should be open to discussion. “We don’t want politics to be totally removed from school, it needs to be in school…the way they went about it was remove everything, you don’t want that,” he said. Mackenzie added that due to the “cover-up” incident, some of her classmates have been empowered to berate her about it. She said she felt ashamed by what the principal told her to do. “Some kids are making [me] feel like I’m uneducated and a bad kid for believing what I want to believe and that’s not right,” she said. In response to the incident, Epping High School superintendent said that two other students were also asked to change what they were wearing. One of the latest incidents involving supporters being harassed for donning pro-Trump gear took place in California. That was when Zuniga switched on her camera. Attacked by a liberal for my hat! A music shop accountant was fired after she harassed an elderly man wearing a “Make America Great Again” hat inside a Palo Alto Starbucks, tried to post his personal information online, and incited others to intimidate him into not wearing his hat again. In another similar case just last month, a man claimed that he was forced to leave a New York City bar for wearing a Trump “MAGA” hat and says he’s considering seeking legal action.